The Old West’s deadliest—and only—pair of husband-and-wife gunfighters, J.D. and Kate Blaze, interrupt a lynching in Dakota Territory. Hooded killers are about to string up a pair of young black homesteaders, but the fast guns of the Blaze duo soon break up the necktie party. That action plunges Kate and J.D. into the middle of a war between the local cattle baron and a group of freed former slaves just looking for a place to call home. It’ll take all their cunning and Colt-skill to survive as every hand is against them! Master storyteller Michael Newton returns with another action-packed, fast-paced yarn full of passion and excitement. 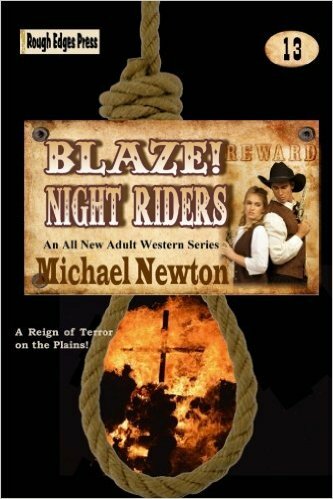 NIGHT RIDERS is fine reading for every Western fan!